I love real estate and relish helping my customers find their dream Sedona property. Finding homes, researching market stats, negotiating contracts, marketing your property, and helping my clients find a home that meets their expectations or finding that perfect buyer for your home, is what I do. I am passionate about it! Whether you are buying or selling, or just want some information before you even start that process, you have come to the right place! I can help! 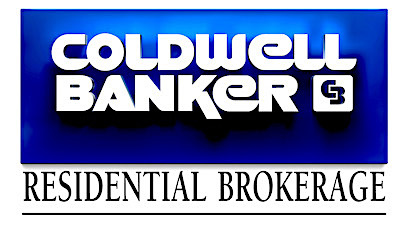 I am an experienced and accomplished top Coldwell Banker Sedona real estate expert sales associate and licensed REALTOR®. Many buyers and sellers are skeptical about salespeople. So am I! But, I am not a typical salesperson. I put myself in your shoes and help you make decisions based on how I would want to proceed if I were you. In other words, what steps would I take and what is right for you? How will this transaction be beneficial for you? How will it help you move forward with your goals? How can I make it as smooth and pleasant as possible? What is in your best interests as we move forward? You can have confidence in my ability to provide you the best real estate transaction possible. I want to prove to you that I am your best choice in real estate professionals. Buying and selling real estate can be a challenging process, and I am here to smooth the way and keep you worry free. I am an expert in the Sedona-Verde Valley; beyond being a Master Certified Negotiation Expert – (see MCNE benefits here) and top real estate agent, I will earn your trust and confidence through my actions. You can depend on that statement! I am on your side, and will help direct you through every concern or challenge you may encounter. I also have in-depth experience. I believe in establishing relationships with my clients and want you to be able to count on me, no matter the issue. My state-of-the art website is just one of the many expert tools that I use to help you through your real estate decisions. I have a complete network of professionals such as mortgage lenders, home inspectors, contractors, home and glass cleaning services, landscapers, etc., that work with me to provide you with World-Class Service. I am the “Angie’s List” of Sedona! Together, we can tackle any issue that arises. You won’t be disappointed with my service or ability to provide you with solutions tailored to YOUR needs. Discover who I am on a personal level (with family photos) in Sheri’s Corner. Get to Know Me….Listen to this Real Estate Program on KAZM am 780. If you are running short of time, pick up the program at the 15 minute mark!. Listening to this radio program, you will get to know me and learn a little about our Sedona Verde Valley market. If you are a little short of time, pick up the radio program at the 15:00 minute mark. Call me for current conditions in the Sedona Real Estate Market at 928-274-7355. I am Your Solutions Realtor®. (This programs was recorded in September, 2012). Please contact me to discuss how I can help you with all of your real estate needs. I want to help you navigate through the process. I love helping people buy and sell homes – it’s my expertise and what I do! See more here.